Are you searching for a new or used full size van/SUV that can carry up to eight people? The Ford Expedition offers loads of room for the people and cargo you need to transport. If you are anywhere near the northeastern part of Oklahoma, come visit Vance Ford Lincoln in Miami, OK. You’ll discover our small-town friendly service with a big city inventory. 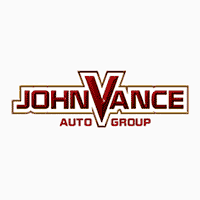 Vance Auto Group has been faithfully committed to serving Oklahomans as they search for their next vehicle for over thirty years. Come sit behind the wheel of a Ford Expedition and also see why we are rated so high in customer service. Did you know J.D. Power awarded the 2018 Expedition the Highest Ranked Large SUV in Initial Quality? Experience all that is best in a full size SUV—remarkable comfort with an upscale attitude. The Ford Expedition was also named “Best Full-Size SUV of 2018” by Cars.com. The judges ranked the Expedition first in categories for ride quality, cargo storage, and visibility. Special kudos were given for its spacious third row seating. The award-winning Ford Expedition is clearly a superior vehicle when it comes to design, comfort and performance. The Expedition won the Best-in-Class towing with its Blind Spot Information System along with its class exclusive trailer coverage which alerts you when another vehicle is alongside your trailer. It has enough power to handle an impressive 9,300 lbs towing. It also is Bes- in-Class for torque with 480 lb-ft. It also provides the most cargo space ever with an impressive 104.6 cu ft available. There are so many great reasons to try out the Ford Expedition! Check out the cutting edge the Ford Expedition makes in technology with a Wi-Fi hotspot that connects up to 10 devices at a range of 50 feet, a wireless charging pad, USB ports available in every row and more driver-assist features than any vehicle in its class. Stay synced wherever you go with FordPass, Apple Car Play and navigation, as well as Siri to keep you connected with all your calls and texts. There is so much to discover about the Ford Expedition! Contact us at Vance Ford Lincoln in Miami, Oklahoma where we treat you like neighbors.